Through its retail and distribution operations, the people at Go Vita are excited to help their communities live well for longer. Go Vita is the dream of a small group of passionate retailers who first came together during the 1980s. Their vision and drive laid the foundation for Go Vita to become Australia’s largest health food cooperative, providing end-to-end distribution and retail servicing more than 150 independently managed Go Vita health retail shops across Australia — a figure that represents 25% of the country’s health food outlets. These Go Vita shops each have an individual style and an appreciation for the health concerns of the communities they serve. Behind the scenes, Go Vita’s CEO, Scott Hornwell, leads a team that works hard to provide the products that allow people to achieve lifelong wellness. Go Vita’s CEO, Scott Hornwell, leads a team that works hard to provide the products that allow people to achieve lifelong wellness. “We are a cooperative, so all our stores are independently owned. We’re not corporately owned like our competition. We have more than 150 stores and every single one of those is different. Their owners are actively servicing the demographics of the area in which they are located. They can be directly and immediately responsive to consumers’ requirements. That’s the retail side of the business,” says Scott. Go Vita’s new centralised warehouse holds over 5,000 products from more than 170 suppliers, including natural health supplements, wholefoods, natural skin and hair care, essential oils, water purifiers, bamboo clothing and many others. 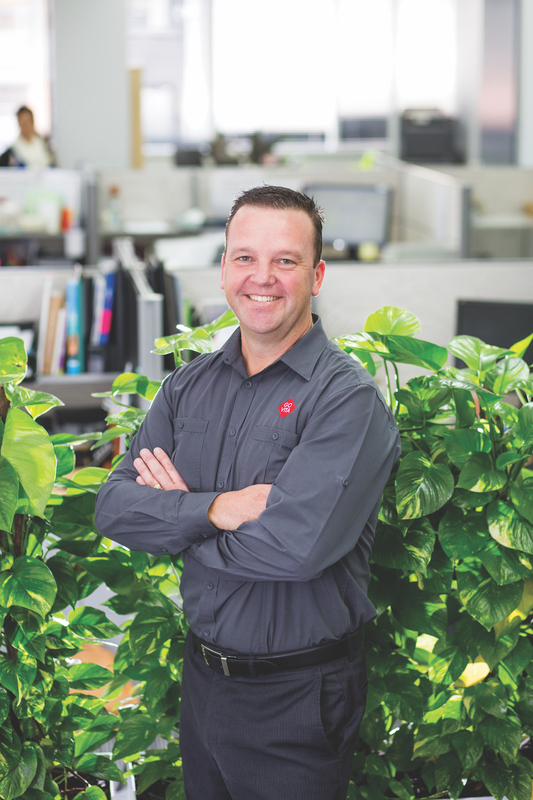 “Supplier relationship management has been a very big part of my career. On the communication side of the business we implemented a tool about 12 months ago where can see all the data. Previously when I first started we had no visibility. We now share that data with the suppliers so they can see their sales by store, skew, value, quantity and margin, and we work with them to increase their business. The aim is to sit down with every one of our suppliers at least once a quarter, and with those tools, we can go through what worked, what didn’t work and any ideas for promotions. We have a magazine that comes out quarterly and the suppliers are a big supporter of that,” says Scott.